Adrian Langdon went out in search of one thing and found another. The waxwing he had hoped for didn’t materialise and instead he found a seal with a difference! Prepared as ever, Adrian quickly snapped away only to realise that the seal he had been photographing didn’t really look like the seals he routinely sees on CSGRT’s boat surveys. He was right of course – it was a common or harbour seal. Common seals are a relatively unusual sight in Cornwall, but globally they are more numerous than grey seals as there are five subpopulations of common seals in both the Atlantic and Pacific. In contrast, grey seals are only found in the north Atlantic. CSGRT have been keeping records of common seals since 2000 with some interesting findings. Common seal photos have been submitted by CSGRT supporters, surveyors and members of the public in every month of the year with no apparent peak season. Only two common seal sightings were recorded before 2005. 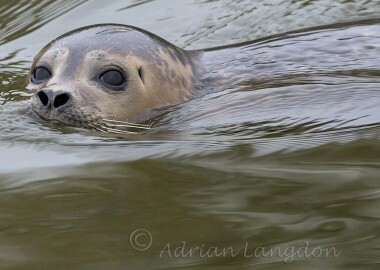 After this, sightings rates increased to over 20 in 2011 and we were beginning to think that common seals might finally be reclaiming territory that they have been excluded from since the industrial revolution. But these hopes were dashed as sightings plummeted again during the next two years. 2014 saw reports peak slightly again and they have remained at a similar level ever since. 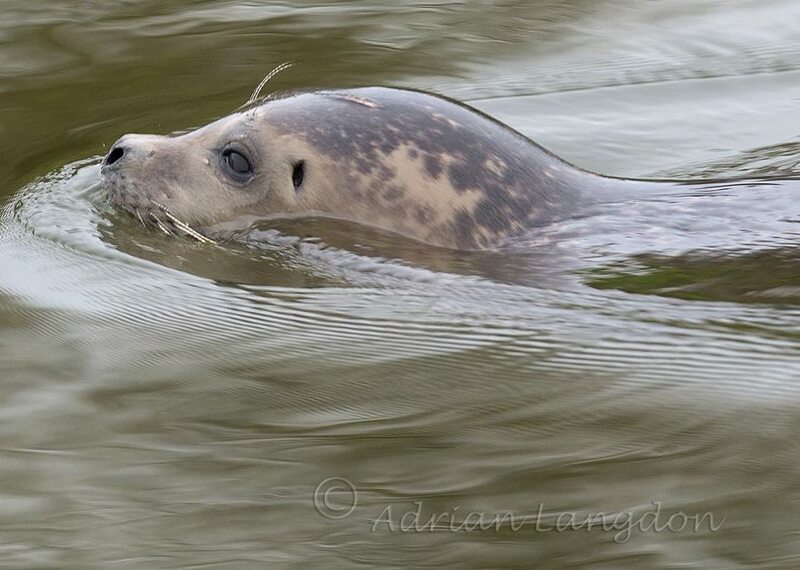 Whilst it is too early to be sure, perhaps water quality improvements in estuaries as a result of efforts such as South West Waters ‘Clean Sweep’ and Cornwall Wildlife Trust’s ‘Upstream thinking’ projects are paying off for seals. 2016 appears to have been similar to previous years, but in fact sightings do not tell the whole story. An analysis of the locations of common seal sightings was more positive. 2016 saw common seals at more different locations than any other previous year – 10 different places across both the north and south Cornwall and Devon coasts. Favoured locations appear to have been estuaries, although sightings have not been restricted to these calmer waters. 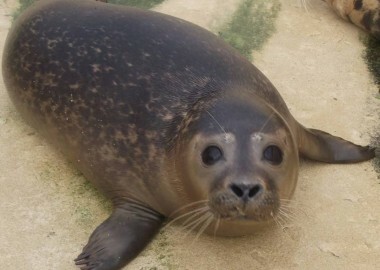 What was extraordinary about the 2016 sightings was that of the 17 records, three were known to be pups under a year old that were rescued by British Divers Marine Life Rescue and rehabilitated at the Cornish Seal Sanctuary along with a fourth that was a little older. Research from the Sea Mammal Research Unit suggests common seals stay within 50km of the coastline in apparently discrete local populations, whilst greys generally travel twice that far. This suggests that common seals may be pupping in southwest England once again. Some common seals even appear to have fully integrated into the grey seal community. Ellis is one such example. First photographed in 2009 just off Looe Island by Claire Lewis, Elisa, latterly know as Ellis, then did a disappearing act. 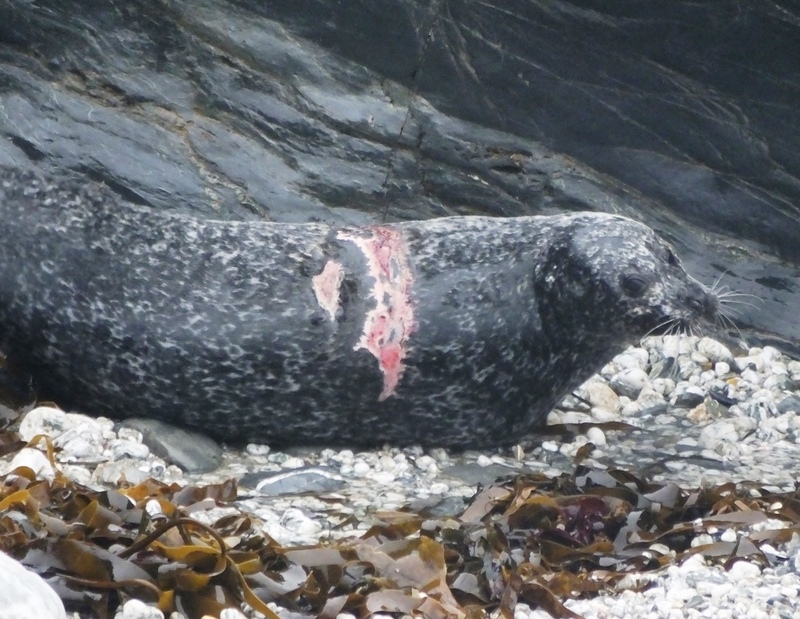 She resurfaced further west at a grey seal site on the Roseland where she was seen in 2011 and 2013 by Lucy Tozer and Rhian Grey. In 2014 she returned to Looe Island during the spring before heading back to the Roseland where she has been sighted every year since by Rob Wells, Kath Wherry, Chris Townsend and Ross Wheeler. In 2016 we realised that Elisa was actually a male common seal, hence the name change! Sadly by Feb 2016, Ellis had developed a rather large wound across his back resembling a propeller injury. This healed but other parallel and deep raw wounds have appeared next to his original one, so we are unsure about what has happened. The good news is that the latest photos of Ellis at the end of 2016 show his wounds healing healthily, so we are optimistic about his future. 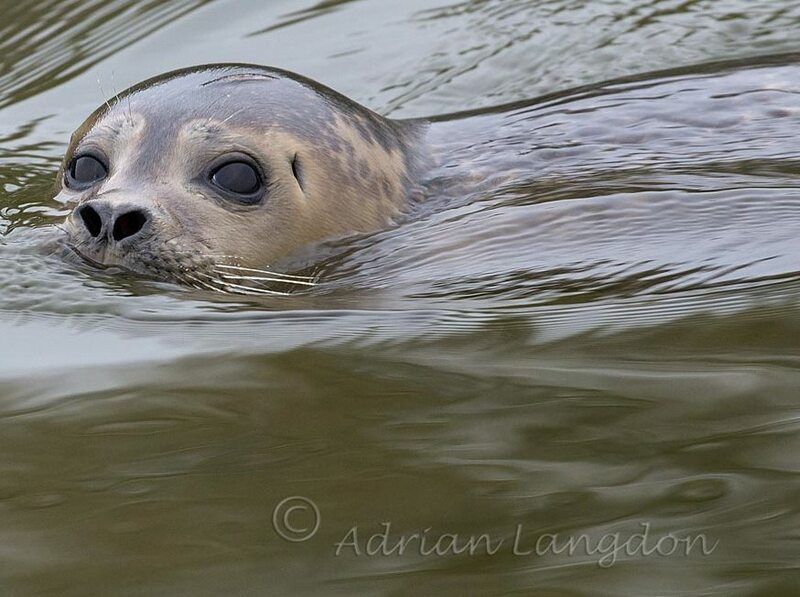 A day later, Adrian was out and about again – this time in search of a seal! 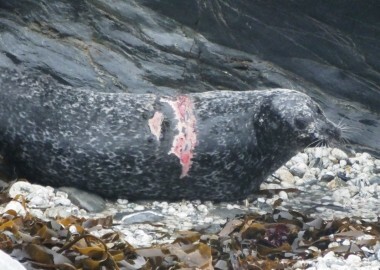 He found the common seal hauled out and noticed it had a bright green flipper tag number 43! 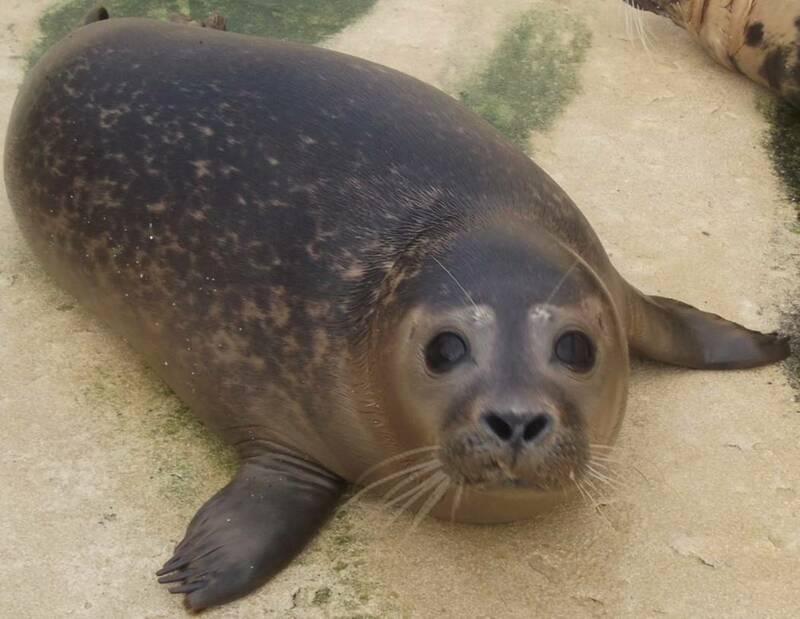 Turns out this is one of the common seals rescued and rehabbed this season – Icy. She was released from Gwithian at the end of November and apart from a small superficial scratch on her head she appears to be thriving back in the wild! Click here for more information on Icy. If you spot a seal around our coast, please remember it will smell, hear and see you, possibly before you even see it! Keep your distance, downwind and out of sight to get the best views and please leave all seals where you find them. 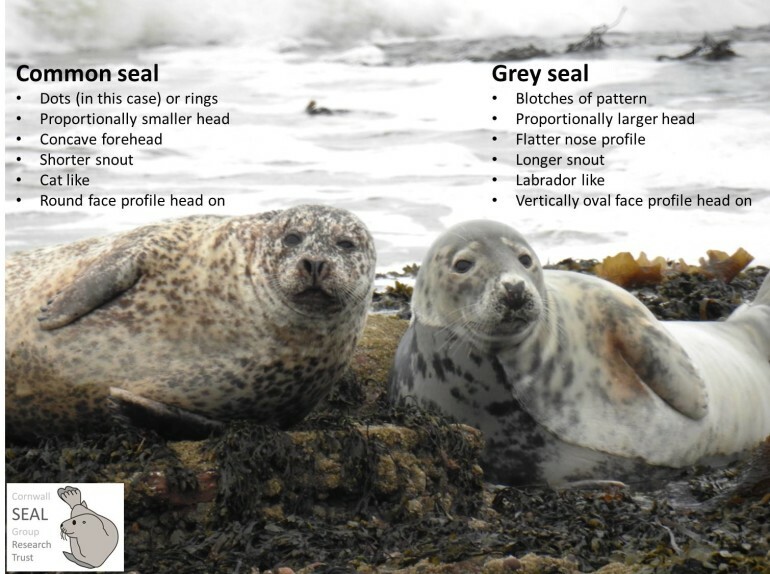 This is our guide to identifying a common from a grey seal. Well done to everyone who has contributed sightings to this story, helped report seals they were concerned about, participated in a rescue or rehabbed one of these common seals. GREAT team effort!